missing a few members of the DT. in their special 'New' Challenge. I made a joy fold card,with Basic Grey Sugared DP's. and inked edges and gems. Pop over to OSSAT and see what the challenge is all about! with a NEW theme in mind! in an attempt to do something different for me! 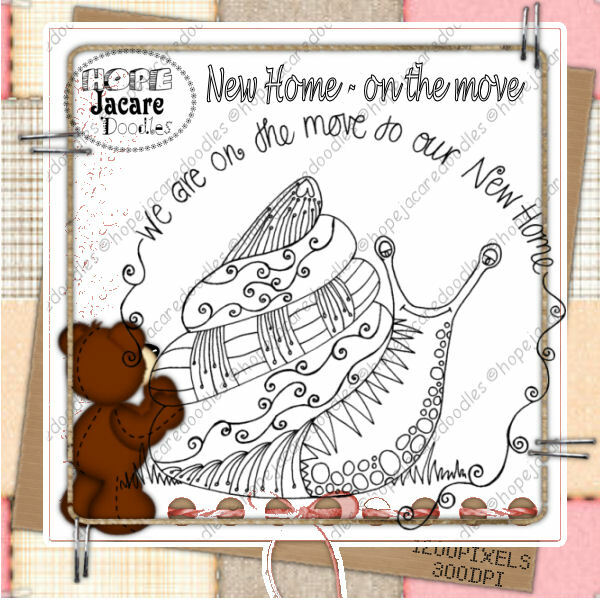 New Home - On the move! for using my images this week to create you fab projects! Beautiful cards and great new images. All in the pink today Claire, both lovely but that ellie has to win my vote. Hi Claire, these are just gorgeous but baby ellie just has the edge as she's so cute. PS: The new stamps look fabulous too! Claire, I love those cards and the new images, especially the snail. I wish the snails in my garden were half as cute as your new doodle!! These cards are gorgeous, your soft pinks are gorgeous and I love all the flower and punched leaves on your second creation! !